As a physical education teacher (in my past life) I love a good rainy day ACTIVE activity. It is easy to go to television when the weather is bad. I say challenge yourself to keep the TV off. 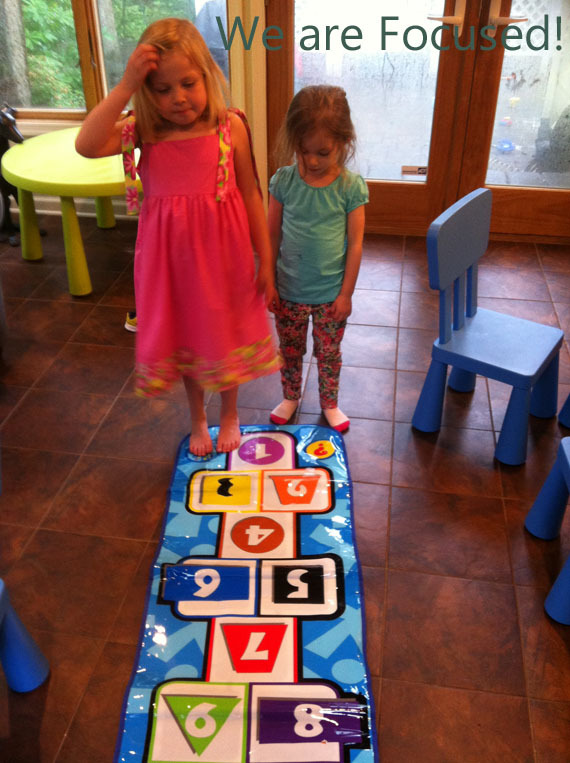 One cool activity that the kids love is this electronic hop scotch mat. This mat is more than the classic game of Hopscotch, it has 5 play modes that teach numbers, colors, shapes or the C major scale. It also plays music and quizzes The older girls love this hop scotch mat and the little ones love to copy the big ones using it. What do you do to keep your kids busy on rainy days?